Learning how to use tarot requires a strong mix of intuition and familiarity with the symbols of the tarot. There is no right way to do it, and eventually everyone develops their own technique that they are comfortable with. We’ll go through a step by step process to get you started reading your cards in no time. Tarot relies on symbols pulled from a wide range of human consciousness. There are many decks available, each with their own unique set of symbols and systems. You’ll have to create stories using the symbols of the deck in your reading, so choosing a deck whose artwork resonates with you is important. The most common deck and a great way to start is the Rider-Waite deck. There are however a myriad of options to choose from, but we’ve created a minimalist deck which makes reading somewhat simpler. I’m sure if you’re here, you’re already filled with questions. Most people become curious about tarot when they are faced with great uncertainty in their lives. And when the cards are used correctly, they prove to be a formidable tool to help you consider other perspectives and move forward in the best way possible. Consider what you’d like to learn with this reading. It can be as simple as, “What am I supposed to learn today?” or “How are my relationships going?”. 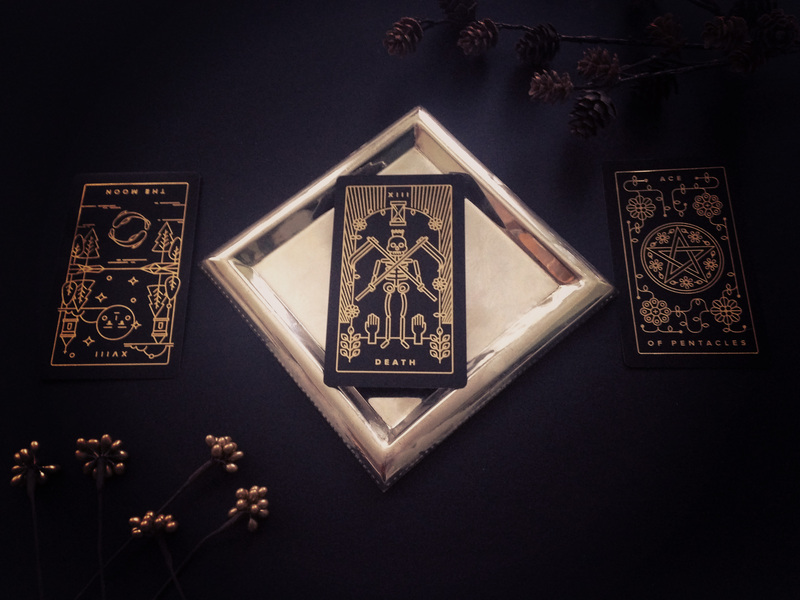 Here at Golden Thread Tarot, we acknowledge that tarot is not about revealing a fixed future, but rather about exploring your unconscious self. They are a tool in which you can project hidden perceptions. 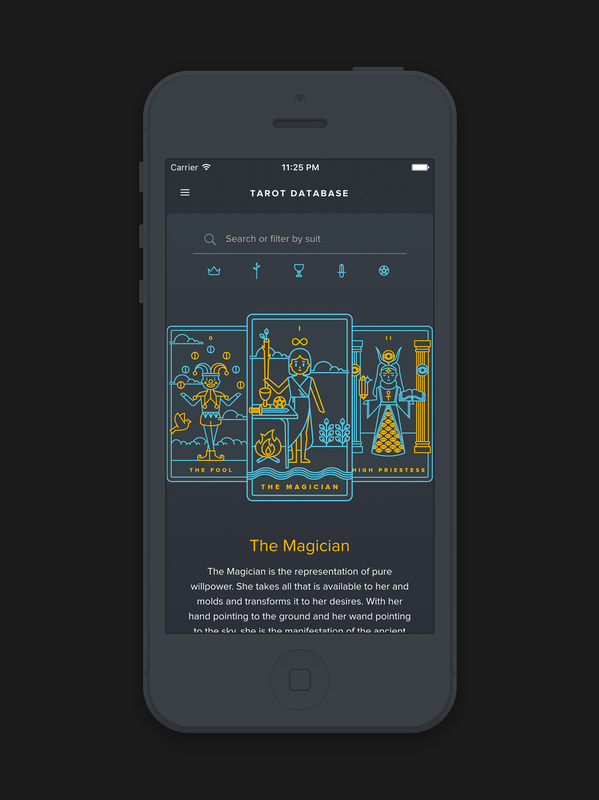 We explain the foundations of tarot in our app. While you shuffle, think carefully about the area of your life in which you’d like more clarity for. Shuffling and handling the cards is a great way to physically connect with the deck that you’re using. As intuition is an important aspect of a reading, you’ll need to bring yourself into the cards. Try to shuffle at least once, but however many times you feel is necessary to get the cards “cleared”. You can also cut the deck into 3’s and reorder them. When you feel ready, keep the cards face down. Tarot spreads give you a structure in which you can explore your questions. Each position in the spread reflects an aspect of your question to consider. You don’t have to use them for every reading, but it’s a nice way to get started while you learn about the cards. One of the simplest readings you can use to familiarize yourself with the cards is the past, present, future spread. Take the top card from your shuffled deck, and reveal them one by one, left to right. Before delving into the individual card meanings, scan your cards and absorb what your reactions to the images are. Start to consider things like emotions, feelings, objects and symbols, and color - if there are any. What is your immediate reaction to these things? Be aware of this as you continue through the spread. If you’re just starting out, you’ll need a reference to help you along with the cards. Usually this can come with the tarot deck that you purchased, or you can use online resources to help you find meanings. As you develop your reading skills, you can learn to let go of these resources and rely more on your intuition. But having somewhere to start is a good thing. Consider how the meaning of the card interacts with the aspect of the question you’re answering. See if you can tell a story with the cards that are in front of you. Much of tarot reading has to do with interpreting a random selection of events and giving them meaning. With our Golden Thread Tarot App, we’ve created an easy to search Tarot Database where you can pull meanings. Rituals are an important way we process events, and even if you’re skeptical, the act of following a ritual and treating your cards with respect and significance can be change how we perceive the world (and transform it). After you allow your reading to process, be grateful, clear your cards, and make sure to store it in safe and secure location. With time, you’ll be able to be more confident in reading. And as you encounter the cards, you’ll start to also notice systems and patterns in how their meanings are set up. For example, how the suits of the minor arcana relate to each other, and how the major arcana tells a story. All these things are beneficial in helping guide you through readings. 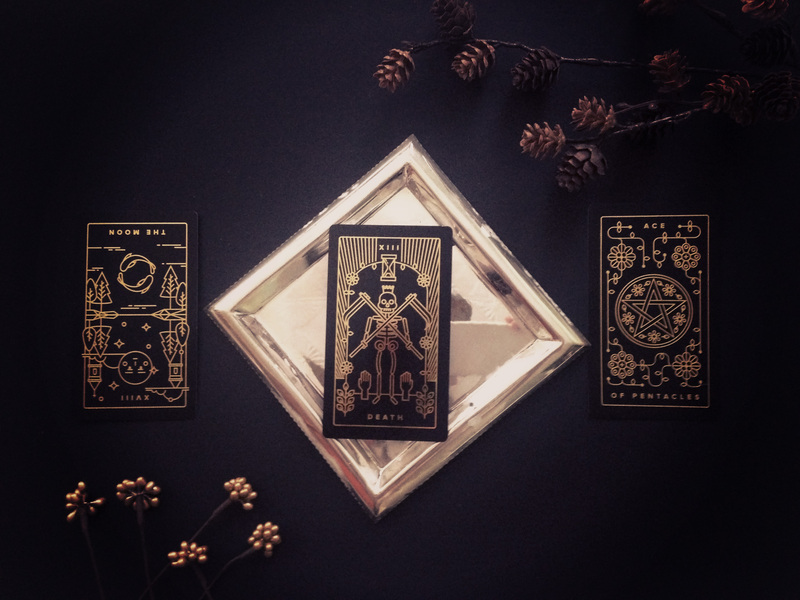 And if you’re interested in tracking your progress, our Golden Thread Tarot helps you do all of that through an app. 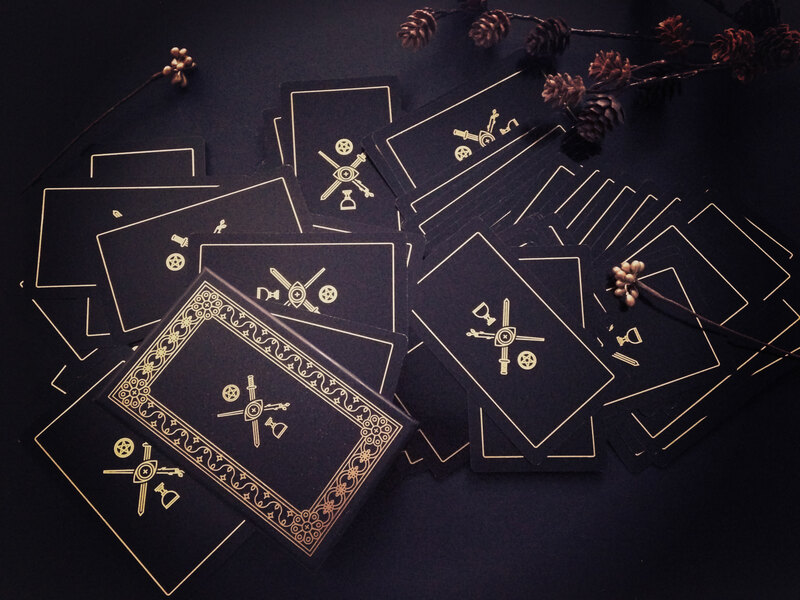 If you're interested in learning tarot, we're building something exclusively for tarot beginners. Learn tarot online with mystical monsters at Labyrinthos Acadmey. Sign up now and you may be one of the first lucky witches or wizards taking our first class. Golden Thread Tarot started out as a simple illustration project where I illustrated a card each day. I chose what to design by pulling a random card in the morning. This deck is the product of that project, but I also want to take it further. Tarot is an immense part of my own personal journey towards self development. I've always felt compelled to share it with others through readings in my spare time. But I find myself trying to explain away the fear and misconceptions that have been imbued into the cards; that they are not about fortelling your inevitable future, but taking control of it through self knowledge and awareness. This app is the start of that journey. The beginning of reaching your full human potential is remembering that there is no such thing as fate, and that your true self is the master of your own destiny, if only you could hear its call. The app is constantly updating. Sign up for notifications and special promotional offers. Copyright 2015 - 2016 © Tina Gong. Part of Labyrinthos Academy. Designed and made with ❤ using Ionic Framework and Bootstrap.